The Men of Quality Initiative began with the premise of helping young African American men set goals and realize that the future belongs to those who are prepared. Those words were penned in 1996. Today, that premise is still true. Theta Omega Inc., in partnership with the Men of the Theta Omega Chapter of Omega Psi Phi Fraternity, Inc. remain committed to Men of Quality, now 21 years later. 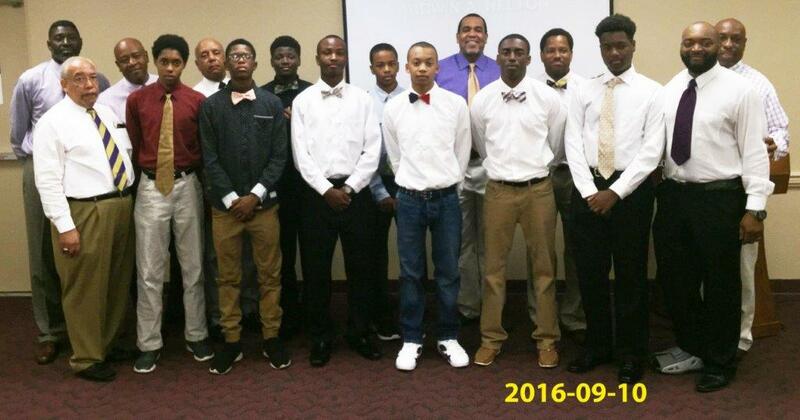 We continue our core Men of Quality Clubs at middle and high schools, along with our Annual Lifestyle Choices Forum. To further meet the needs of the students, we have conducted workshops, academic camps and held MoQ sessions at elementary school. In 2016, we piloted a Men of Quality Leadership Academy. The focus of the Leadership Academy was to equip our students with tangible tools for their leadership journey. We sought to put students’ ideas into practice to positively impact their local communities.